The results of a credit card balance transfer have been accurately characterized as "miraculous," but also as "the gates of hell." A smart balance transfer can be a fantastic tool to reduce debt or take advantage of a great financial opportunity or purchase. It can also be the first step toward bankruptcy if done incorrectly or unwisely. A poor balance transfer can cast you into a raging sea of debt...without a life preserver. Let's keep this simple. A balance transfer is nothing more than transferring dollars from one medium to another. You can do so at nearly any time though it is most common when being offered a new credit card. For example, if you have credit cards with a very high interest rate, it makes sense to locate a credit card and transfer higher balances to a low interest rate card, doesn't it? Well, maybe so…and maybe not. 1. How is your credit? A few years ago your pet rattlesnake probably could have gotten a credit card. However, that type policy created far too many snakebites and financial institutions were forced to restrict lending to only those with a better credit score. 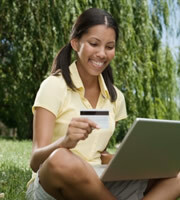 So if you want the best balance transfer offers, build up your credit score. TIP: If you want to increase your credit score, the fastest way to do so is to pay your bills on time. On time payment history constitutes about 1/3 of your credit score. Another third is based upon how much of your available credit is being used. So if you have a $10,000 credit limit and are using 75% of that amount, it may be hurting your credit score. TIP: Most lenders prefer 30-60% credit utilization. 2. How much will it cost? Calculate exactly how much it will cost and compare the offer to other offers. You are basically looking for lowest interest for longest period with a cap on balance transfer fees. A 3-month $10,000 balance transfer with a 0% APR and no cap but a 3% balance transfer fee would be $300. That equates to 12% APR and not a good deal. On the other hand, the same amount for a year with a $150 cap for transfer fee could be a great deal more appealing. Always look for a cap, lowest interest and longest term. 3. Treat your balance transfer (and credit card) with kid gloves. Penalties are a lot stiffer than ever before simply because credit is tighter. Step over the bounds and you will pay the price. TIP: Late payments even by a minute could result in a default interest rate. Be sure you know your default interest rate and pay on time. TIP: Go over your limit by one dollar and your minimum payment could increase. Make sure your balance transfer fee does not push you over a limit, which ads an "over the limit" fee and could cost you the ball game. TIP: When does your special rate end? An expiration of August 2009 is not sufficient. Is it August 1 or 31? 4. Read the fine print. Besides APR, default rates et al as described above, you need to be aware that all offers are not alike. Find out if you need multiple purchases to maintain a low rate. Does your transfer allow new purchases or include the ability to accomplish your intended purpose? If your credit is not stellar, does this super great offer still apply? 5. Balance transfer versus cash advance. Are you certain you are not exercising a cash advance such as with a check, which are often times sent with your statement? Cash advances are very often confused with balance transfers. Additionally, many institutions decide how your monthly payment is applied. If you have a low or even zero interest balance transfer payment (or any other loan) and a 20% cash advance loan, the bank may apply the entire amount to the lower rate and your cash advance interest charges and fees grow by leaps and bounds. 0 Responses to "Top 5 Issues You Should Know When Performing Balance Transfers"